Posted on 29 October 2017. TORTOLA, British Virgin Islands, OCT. 19, CMC-Recovery efforts currently underway in the British Virgin Islands (BVI)are being backed by international financial institutions. This was disclosed by Premier Dr. Orlando Smith on Wednesday following recent meetings held with officials from the World Bank and International Monetary Fund (IMF). “We had very productive discussions on the ways in which reconstruction can be financed, both short and long-term. 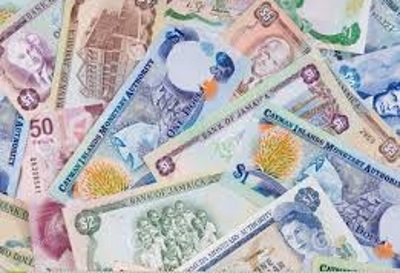 I am pleased we have the full-support of the CDB”, said Smith, who is also the Finance Minister. He added that the banks are also interested in rebuilding local structures to withstand future ‘extreme weather events’ such as hurricanes Irma and Maria. “Our objective is to become a model of resilience in the region and a centre of excellence in infrastructure. This will not only make us more resilient, but also more attractive as a tourism destination and international business centre,” Smith said. Minister of Health and Social Security, Ronnie Skelton, as well as Director of the BVI London Office, Benito Wheatley, also attended the meeting which was held it Washington DC. The talks were held as part of the annual World Bank/International Monetary Fund meetings. Meanwhile, Works Minister, Mark Vanterpool, says residents will start to see better roads in about two months as the government will be filling the pothole-riddled thoroughfares with concrete and other material as a temporary fix. The minister explained that the temporary solution is being employed because the territory’s two asphalt plants were knocked out of commission by last month’s hurricanes. Vanterpool, however, noted that the condition of roads is worsening because of rainfall that continues to affect the already-battered British overseas dependent territory. ST. JOHN’S, Antigua, Oct 17, CMC – The Antigua and Barbuda government says it wants to re-negotiate a US$40 million loan which the World Bank had approved for re-building Barbuda that was severely damaged by Hurricane Irma last month. Prime Minister Gaston Browne, speaking on OBSERVER Radio here, said the terms and condition of the loan from the Washington-based financial institution are not in the best interest of the island. 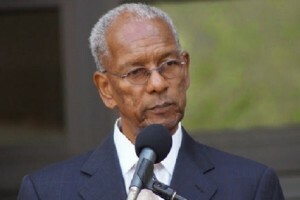 “We have asked them to reconsider the terms and they said they will put it to the board and will get back to us,” Browne said, defending the request of his administration on the basis that the loans would be funding projects for the rehabilitation of Barbuda that was declared inhabitable following the passage of the Category 5 storm on September 6. He said the funds would also be going into non-revenue earning projects. “If it were grants, we would push for some more, but we have to be careful in terms of how much we borrow, because not only borrowing you have to have the capacity to repay. “What we are saying with this particular loan is that most of the funds will be going into non-revenue generating resilient infrastructure. For example in Barbuda we will be putting the lines underground. 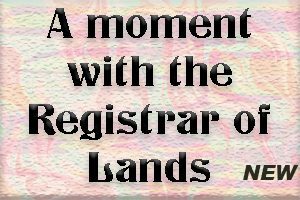 We will be replacing all of the wooden posts with concrete posts and technically speaking they will not be creating any funds, any revenue, so again we have to make sure we do not over burden the Treasury, because at the end of the day we have to pay it back,” Browne told radio listeners. 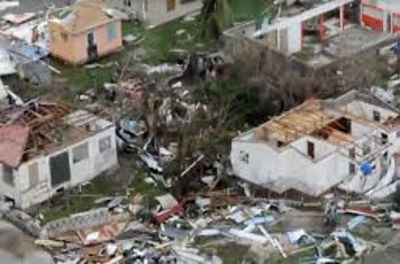 Browne had said soon after the passage of the hurricane that more than US$100 million dollars would be required to rebuild Barbuda, home to an estimated 1, 600 people. KINGSTOWN, St. Vincent, Oct 16, CMC – Police Monday offered an EC$20,000 (One EC dollar =US$0.37 cents) reward for information leading to the arrest and conviction of those involved in a shooting incident over the last weekend resulting in eight people suffering gunshot wounds. Police are working on the motive that the gunmen were in search of an unidentified man who had recently been released from prison. Police were reported to have recovered at least 40 bullet casings at the shop in the South Windward community, where the incident occurred on Saturday night. Police are also investigating another incident in which Jawanza “Sanga” Frazer was shot several times about his body on Sunday. Frazer, who was standing on the roadside, was shot by an occupant of a vehicle who sped away from the Kingstown community.